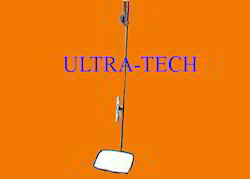 Prominent & Leading Supplier and Distributor from Coimbatore, we offer Under Vehicle Search Mirror such as Telescopic Extension Search Mirror EM, Inverted Search Mirror, Under Vehicle Search Mirror - UVSM-1, Under Vehicle Search Mirror UVSM-1(AL), Under Vehicle Search Mirror UVSS-04 (WITHOUT DVR) and Under Vehicle Search Mirror UVSS/04-D (with DVR). Handle bar length 4Ft approx. We are ranked amongst the foremost firms, engaged in offering a qualitative range of Under Vehicle Search Mirror. 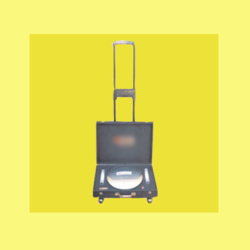 Our provided search mirror is featured with a convex mirror, this portable tool is suitably used in search operations of vehicle wheels and underlying flat surface, where human intervention is not possible. Offered search mirror is accessible in varied specifications as per the need of clientele. We test the search mirror on several parameters so as to deliver defect free range. Handle bar length: 4Ft approx. Base tilt: suitably designed for clear view. Movement: Roller wheels provided for free & easy movement. Light source (optional): commando torch. 2. 11”dia convex mirror fitted in briefcase. 4. Castor wheels fitted for easy movement under the vehicle. 5. For night operation florescent tubes & lamps fitted. 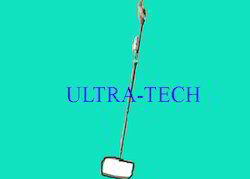 We Are The Leading Manufacturer And Suppliers For Under Vehicle Search Mirror UVSM-1(AL) In South India Such As Thiruvallur, Chennai, Kancheepuram, Vellore, Thiruvannamalai, Krishnagiri, Dharamapuri, Villipuram, Cuddalore, Salem, Erode, Namakal, Perambalur, Nilgiris, Coimbatore, Tiruppur, Karur, Tiruchchirapalli, Ariyalur, Nagapattinam, Thanjavur, Thiruvarur, Nagapattinam, Pudukkotai, Dindigul, Theni, Madurai, Sivagangai, Ramanathapuram, Virudunagar, Tirunelveli, Thoothukudi, Kanniyakumari, Hosur, Rajapalayam, Puduchcheri, Kerala. 1. Vision in complete darkness. 2. 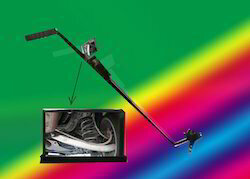 Motorized color camera with IR. 3. Camera rotation 180 degree. 4. 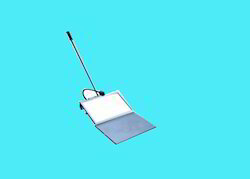 TFT screen mounted on telescopic rod. 5. Vision in combined spaces - under vehicle. 6. Object recognition clear & sharp in complete darkness. 9. Battery backup with in-built charger. We Are The Leading Manufacturer And Suppliers For Under Vehicle Search Mirror UVSS-04 (WITHOUT DVR) In South India Such As Thiruvallur, Chennai, Kancheepuram, Vellore, Thiruvannamalai, Krishnagiri, Dharamapuri, Villipuram, Cuddalore, Salem, Erode, Namakal, Perambalur, Nilgiris, Coimbatore, Tiruppur, Karur, Tiruchchirapalli, Ariyalur, Nagapattinam, Thanjavur, Thiruvarur, Nagapattinam, Pudukkotai, Dindigul, Theni, Madurai, Sivagangai, Ramanathapuram, Virudunagar, Tirunelveli, Thoothukudi, Kanniyakumari, Hosur, Rajapalayam, Puduchcheri, Kerala. 8. Comes with DVR, Battery backup with in-built charger. We Are The Leading Manufacturer And Suppliers For Under Vehicle Search Mirror UVSS/04-D (with DVR) In South India Such As Thiruvallur, Chennai, Kancheepuram, Vellore, Thiruvannamalai, Krishnagiri, Dharamapuri, Villipuram, Cuddalore, Salem, Erode, Namakal, Perambalur, Nilgiris, Coimbatore, Tiruppur, Karur, Tiruchchirapalli, Ariyalur, Nagapattinam, Thanjavur, Thiruvarur, Nagapattinam, Pudukkotai, Dindigul, Theni, Madurai, Sivagangai, Ramanathapuram, Virudunagar, Tirunelveli, Thoothukudi, Kanniyakumari, Hosur, Rajapalayam, Puduchcheri, Kerala. We are an acclaimed name engaged in offering our precious clients a superior quality range of Inverted Search Mirror. This search mirror is tested by experts on various parameters for assuring that we are supplying only defect free products. The offered search mirror is developed in adherence with the set quality standards using high quality components and latest techniques. 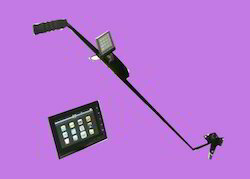 In addition, we also offer this search mirror in a variety of specifications as per the need of customers. Mounted at angular lower end of the handle. Owing to perfection and quality oriented approach, we have carved niche in the industry by offering Telescopic Extension Search Mirror EM. Our given search mirror is developed with top quality components & contemporary techniques in conformity with the set norms. These are ensured with some prominent features like non-fragile nature, application specific design and user-friendliness. Offered search mirror can be fetch at affordable rates in a promised time frame. Handle extendable up to 4 ft approx. 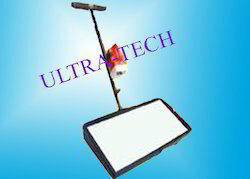 We Are The Leading Manufacturer And Suppliers For Under Vehicle Search Mirror - UVSM-1 In South India Such As Thiruvallur, Chennai, Kancheepuram, Vellore, Thiruvannamalai, Krishnagiri, Dharamapuri, Villipuram, Cuddalore, Salem, Erode, Namakal, Perambalur, Nilgiris, Coimbatore, Tiruppur, Karur, Tiruchchirapalli, Ariyalur, Nagapattinam, Thanjavur, Thiruvarur, Nagapattinam, Pudukkotai, Dindigul, Theni, Madurai, Sivagangai, Ramanathapuram, Virudunagar, Tirunelveli, Thoothukudi, Kanniyakumari, Hosur, Rajapalayam, Puduchcheri, Kerala.